UPDATED: Thu., Sept. 20, 2018, 9:50 p.m.
You may have heard that ABC’s “American Idol” is coming to Coeur d’Alene next month. It’s true. But don’t be warming up your cover of Ariana Grande’s “God is a Woman” just yet. These are not public auditions, and there will not be public events surrounding the taping. 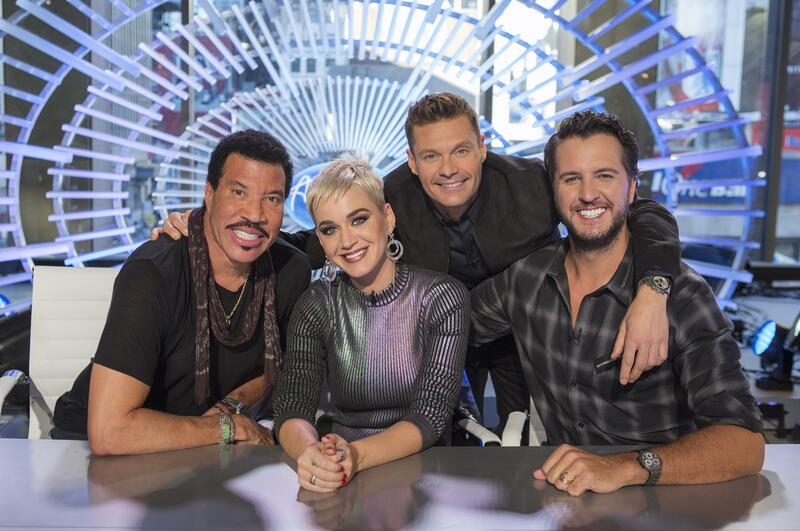 Details, including specific dates for the Coeur d’Alene taping, are being kept under tight wraps, but judges Katy Perry, Luke Bryan and Lionel Richie will be at the Hagadone Event Center next month for second-round auditions. The participating contestants will be those who have already cleared the first round of auditions and have performed in front of executive producers to advance in the competition. An “Idol” representative said open auditions for season two are closed, with the last held tonight in Atlanta. Regionally, open auditions were held Aug. 31 in Bellevue and Sept. 2 in Boise. The second-round auditions, held at several sites across the country, will mark the first time the judges see the contestants and is typically what people see on television. From there, contestants move on to Hollywood. The new season will air sometime in 2019. Winners typically receive a cash prize and a recording contract. “American Idol” had a long run on Fox, appearing from 2002 to 2016, and launched the careers of Kelly Clarkson, Carrie Underwood, Jennifer Hudson, Phillip Phillips and Adam Lambert among many others. Although at one point it was the most-watched show on television, and hugely influential, Fox canceled the show in 2016 as ratings waned. The series’ end sparked a number of articles in major publications touting the show’s legacy, from Forbes (“Five Ways ‘American Idol’ Changed the Musical Landscape Forever”) and the Atlantic (“The ‘American Idol’ Dream Came True”) to Billboard (“The Not-So-Obvious Ways ‘American Idol’ Had a Profound Impact on the Pop World”) and Time (“Here Are 7 Ways ‘American Idol’ Influenced Pop Culture”). “Idol” wasn’t dead for long. A little more than a year after it went off the air, ABC announced it was rebooting the show. The new edition featured new judges – Richie, Bryan and Perry – and the old host, Ryan Seacrest. It debuted on March 11 and crowned Maddie Poppe of Iowa the winner on May 21. Published: Sept. 20, 2018, 8:03 a.m. Updated: Sept. 20, 2018, 9:50 p.m.